In 1980, Marvel Comics published one of the most ground-breaking X-Men stories of all time. The creative team of Chris Claremont and John Byrne launched what would become known as “The Dark Phoenix Saga,” a story in which the X-Men’s most powerful team-member lost control and became a cosmic force for evil. It’s generally viewed as one of the best comic book stories ever, and next year Fox will bring it to the big screen for the second time in the Dark Phoenix movie. One of the most remarkable things about Dark Phoenix is the title. Fox has ditched “X-Men” altogether. Is that an implicit acknowledgment that the most successful X-Men films of late have been spin-offs, centered on key characters like Logan or Deadpool? 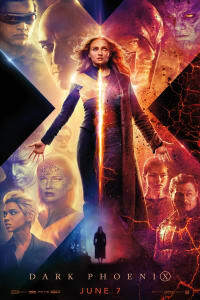 This is the story of Jean Grey and of the Dark Phoenix, with Sophie Turner as the star and the rest of the X-Men essentially serving as secondary characters. This trailer, at least, is almost entirely dedicated to Jean. Dark Phoenix rewrites Jean Grey’s history, revealing that an early manifestation of her powers caused a car crash which killed her parents. Charles Xavier was concerned about Jean’s raw psychic power and unrestrained grief. And as a result, he used his own telepathy to repress aspects of Jean’s psyche. However well-intentioned that idea was, it has gone terribly wrong. When Jean encounters a cosmic force, all the emotions she repressed for years are drawn to the surface. She is consumed with fear, anger, pain, and loss. The trailer strongly implies a devastating confrontation between Jean and the X-Men. 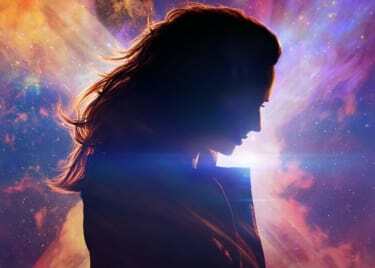 While the trailer seems to suggest that Jean Grey is the antagonist, it offers a couple of glimpses of the real villain; Jessica Chastain’s mysterious character. Chastain is said to be portraying “an otherworldly shapeshifter.” She’s generally believed to be a Skrull — and, yep, those are the same villains in Captain Marvel. This is not an MCU movie, but the rights to the Skrulls are complicated. Reports from the set have suggested the aliens are an important part of the plot, even if they don’t figure in this trailer. 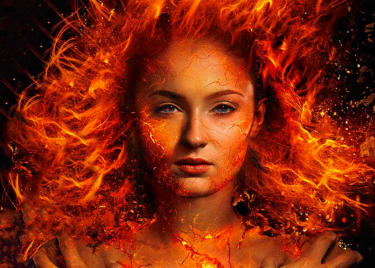 Fox clearly wants to maintain a sense of mystery around Dark Phoenix. The name of Chastain’s character hasn’t been revealed. 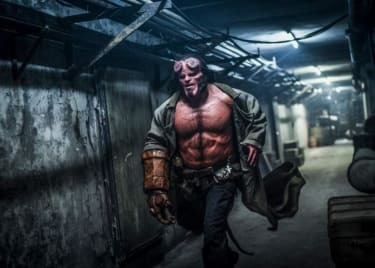 Fox hasn’t officially confirmed that the Skrulls will appear in the film at all. What we do know, thanks to the trailer, is that Chastain’s character is attempting to manipulate Jean. She’s aware of the Phoenix Force that Jean bears, and she’s encouraging the mutant to experiment with her powers. The trailer suggests that Jean’s quest will lead her to the island of Genosha, a mutant community established by Magneto. In the comics, Genosha was originally envisioned as an analogy for Apartheid. It was a place where mutants were kept in near-slavery. The X-Men overthrew the Genoshan government, and years later Magneto claimed the island as his home. He founded a mutant nation, with the rest of the world accepting his rule on Genosha in the hopes it would end the Master of Magnetism’s campaign against humanity. The Genosha of Dark Phoenix will probably be slightly different. For one thing, we don’t see any hints in the trailer that Magneto has founded a mutant nation. It looks more as though he’s created a small settlement where a handful of mutants live away from prejudice. All that changes when Jean Grey arrives, and she’s soon pursued by humans and fellow X-Men alike. In the end, a fearful Magneto looks upon Jean and admits that he has now seen the face of evil. The trailer for Dark Phoenix is set against a haunting cover of “The End” by The Doors. There’s likely a double meaning here. This story could be the last gasp for Xavier’s dream of mutants and humans co-existing. In the real world, Dark Phoenix is most likely the end of Fox’s X-Men saga. The franchise was central to the launch of the superhero genre in 2000. Assuming the Disney/Fox merger goes forward, the mutants will eventually make their way to the MCU. Hopefully, this will be a powerful and emotional swan song for the current series. Dark Phoenix opens on February 14, 2019.